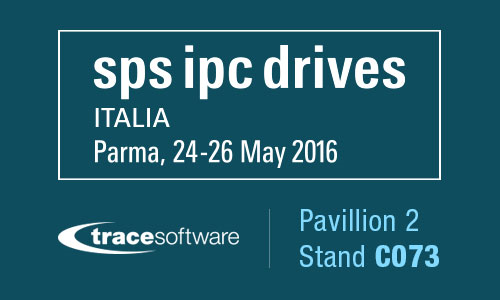 Trace Software will attend, for the first time, SPS Ipc Drives, electrical automation technology, systems and components. This is a relevant appointment for the industry and will be held next 24, 25 and 26 of May, in Parma, Italy. Visit us at stand C073 pavillion 2, we will present latest news like the new version of elecworks 2016 SP3, with the electrical projects configurator from Excel or the new product elecworks for PTC Creo, to integrate the electrical schematics within PTC Creo for a 3D design, and the premier of the new elec calc 2016, with major features like the calculation of Medium Voltage installations and its intelligent interface. Our italian team will be glad to welcome you to our stand!